New season membership forms now available! 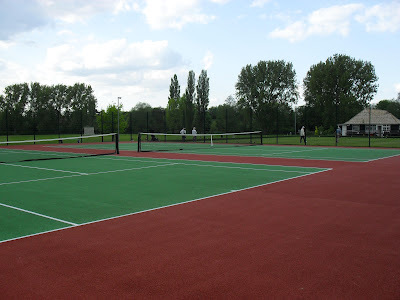 Welcome to the website for Warwickshire County Council (WCC) staff tennis club. This is a private tennis club through which the County Council encourages its staff, retired staff and their partners and families to enjoy and participate in sport. We are based at the County Council's sports ground located just off the Myton Road in Warwick. The club has two all weather tennis courts for use by its members. New members are welcome to join. Non-WCC employees can become members if an eligible member will propose them.